Lewis and Clark must be turning in their graves, kicking themselves that they didn’t have the Outdoorsman for their trek across the country. 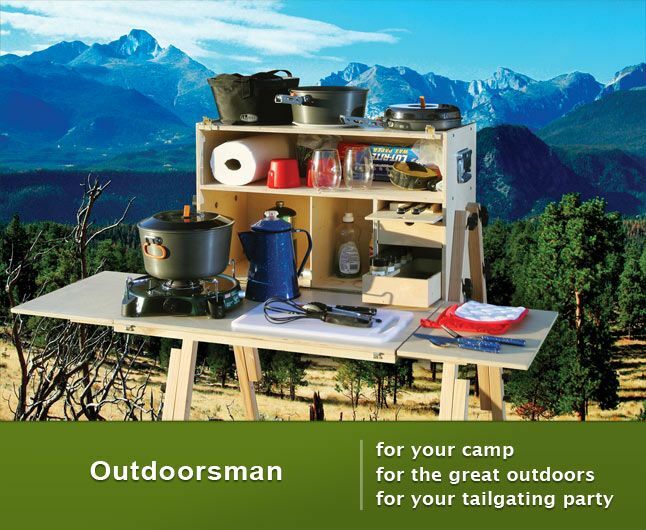 The Outdoorsman is a complete camp kitchen that balances strength and weight. At 35 pounds without legs, it can be carried wherever you need and used not just for camping but also for tailgating, picnicking or any sort of special culinary event you want to have outdoors. The mix of drawers and compartments will store all the spices and utensils you’ll need, so don’t let getting back to nature mean that you can’t also eat well… really well… because now you can have a kitchen with you to do it right.